What is the purpose of the navel in the human body, beyond birth? As Lou Davis says, there is no function of the navel for autonomic function past birth. But it can be argued that there is a musculoskeletal / myofascial function to the navel as it relates to deeper muscular and connective tissue structures in relation to anatomical development and subsequent physiological functional capacity. The navel is a connective tissue (fascia) locus that is centered around our physical center of gravity, which is why physiotherapists make such a fuss about “core” strengthening. The abdominal muscles and associated connective tissue (including in the area of the navel) constitute a center of support for the viscera and the musculoskeletal (including Lumbar) structures surrounding and supporting it. This becomes important, in physiotherapy, when the “core abdominal support” has been anatomically or physiologically / functionally compromised. The navel itself doesn’t have muscular components, such as contractive sarcomeres, but it affects the sarcomeres of the surrounding myofascia, including rectus abdominus and external obliques,etc. The navel itself is not the issue, but its location at our center of gravity and the functionality that extends from that center of gravity is the issue. Why am I getting headaches when I make long phone calls? Why do they last up to a week before the pain starts to go away? It’s hard to get to sleep with such pain, and even when I do sleep, the pain is still there when I wake up. Is this dangerous for me? Are there any health concerns? How often do we see and DO this on any given day? This action strains the muscles and the connective tissue (myofascia) mentioned above because they are probably not used to, and are definitely not “designed for,” the sustained contraction shown above. ALL of these muscles are engaged in the posture in the first picture, where someone is holding a phone between their head/ear and their shoulder. You have to hold it there somehow, right? Well, these are the muscles that do it for you, and they are most probably strained and activated through prolonged, static holding of this posture. Keep your head upright and your neck straight on prolonged conversations. Switch which hand holds the phone, so that you are not constantly loading the same muscles on the same side (thereby straining them). Give them a rest by using the similar muscles on the opposite side, then switch again when they get tired. Give yourself a few moments to slowly take your head and shoulders through their comfortable range-of-motion, in order to restore circulation and re-establish normal resting length for the muscles. This involves making SLOW circles, or moving the head in opposing directions (i.e., up/down & right/left). Consciously relax any tension you feel. For example, try tensing your muscles for 5 seconds while holding your breath, then exhale while relaxing those muscles (2-3 times in a row). This is a simple biofeedback technique. Imagine the tension as something physical (smoke, dirty water, etc.) draining out of your feet into the floor/ground. This is a simple meditative/visualisation technique. Give yourself permission to drop as much tension as you can, and to breathe as slowly, deeply, and as relaxed as you can manage. This is a simple cognitive behavioral therapy technique. If you would like to know some relatively easy ways to relax your muscles and stop the pain, and your physician has cleared you to do such exercises as the above (no contraindications), see my blog post How can I reduce knots in my shoulders (trapezius muscles)? Good luck, truly. I think a great deal of people are struggling with this right now. When you’re injured and something is swollen, why is it good to ice it? 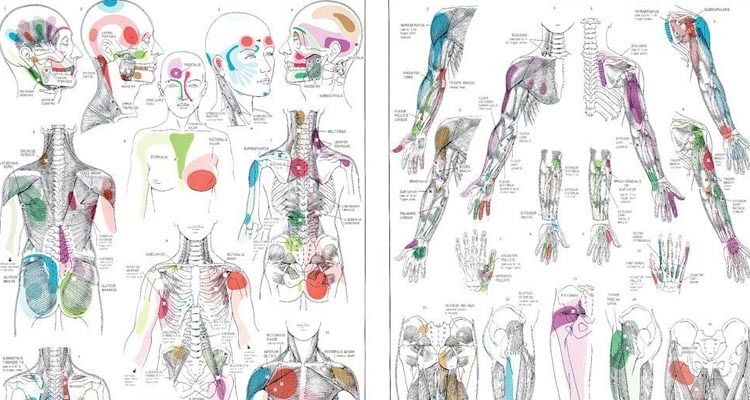 Your body’s soft tissue includes muscle, fascia (connective tissue), nerves, blood vessels, and lymph vessels, predominantly. When this soft tissue is injured (via bruise, tear, sprain, etc. ), it is like a bunch of broken fluid pipes that require the “pressure” to be turned off until the pipe can heal enough to resume stable and reliable function. To reduce this pressure, short, local applications of cold are called for. brief analgesia, or relief from pain, which may help moderate the inflammatory response from excessive to helpful. What we’re going for here is modulation of the inflammatory response from over-reactive to measured. This allows the tissue to begin healing in the most helpful bio-environment possible. When applied properly, cold will accelerate the healing rate via beneficial tissue metabolic activity and enhanced return to comfortable function. How does one transition from a narcotic-based pain-management system to one that is non-narcotic-based? How do the two compare? The most important thrust of the question is: “I’d really like to come off the narcotics but I have no idea what else would successfully cover my pain.” THIS is what is facing most people in the midst of chronic pain: they don’t want to become addicted to pain medications, but they can’t function without them. What effective alternatives are there? The problem that pain management clinicians and researchers are struggling with is the “activation threshold” of pain. That is, when you dampen the pain signal over time, your system adjusts to that factor, and then the pain threshold lowers, UNLESS you have the medication intervening. Which means you need higher doses of your medication to achieve the same level of relief from pain. Initially, this means that you can essentially do more with less pain. Yay, right? Not necessarily. What if, even while you feel less pain, you do more damage to the mechanical tissues of your body because you can’t feel the painful feedback your body sends to tell you you’re hurting it? If this happens, it usually results in further injury. For example, let’s say you have a torn muscle in your leg. You numb it with narcotics so that you can run on it. While you don’t feel the pain caused by running on the leg with the torn muscle, this exercise, in this state, almost guarantees extra damage to the torn muscle. This brings up the crucial factor with which all researchers and clinicians struggle: What is actually causing the pain, both anatomically and physiologically? How did it start? What sustains it? How does one address both anatomy and physiology without making the patient increasingly dependent on medication for relief, or hopefully, recovery? For this, you need a case director (usually MD/DO) who is well educated and experienced with a BROAD variety of treatment options. These options need to include “alternatives” such as chiropractic, acupuncture, biofeedback and advanced manual therapy. All of these techniques (tools in the therapeutic toolbox, if you will) do have limited studies done regarding their efficacy. The best “director” for your case will be an advanced MD/DO who has been apprised of those studies, and who also has had significant clinical experience with these “tools” and their benefits. They will know how to best reduce your current medication (possibly in favor of one with lesser side-effects) and also how best to integrate effective “alternative” techniques into your treatment plan and its goals. These goals, often including comfortable and effective resumption of activities of daily living (ADLs) are superimposed with medication dosages in order to determine their therapeutic efficacy. A good place to start finding a knowledgeable physician to guide your case is with the American Academy of Pain Management. The AAPM is the only institution to currently accredit those in multidisciplinary pain management, and they are committed to an interdisciplinary approach. If you are merely exploring competent practitioners in alternative methods, PLEASE study their CVs, license, certifications and experience. I would recommend distrusting anyone who says, “Oh, I can cure you; the technique I use is the only one that works.” NO technique is a panacea – NONE. If they can’t discuss the strengths and limitations (almost more important) of their technique, then they are downright dangerous to you. You need a good guide. That’s what a great pain management doctor does. Go find yourself one! Best of luck.